Over the past few weeks, it has become clear that the Wildrose Party can sense that all of their hard work over the past few years is looking more and more like it will all be for nothing. In order to try and maintain some sense of publicity, they have been trying to create some controversy over some of the donations received by the PCAA. It seems that every week, the WRP has continued to try and stoke the imaginary fire by feigning outrage over some disputed donations to local PCAA fundraising events, thereby trying to create a false image of PCAA"corruption". Here is their basic explanation of how the PC's can accept "illegal donations" without doing anything wrong. "John works for MRU. He gets an emailed invitation from his local MLA (a volunteer working on BEHALF of the MLA, actually), along with 5,000 other constituents who the MLA has email addresses for. John buys a ticket to a local PC golf tournament with his personal credit card. While he's there, he talks about PSE with several cabinet ministers, for a minute or two at a time, over the course of the day. John submits his credit card bill to MRU to be reimbursed, as he feels he was advocating on behalf of his employer. MRU sends John a cheque for his expense. Opposition parties scream bloody murder. PC's are guilty of hosting a fundraiser, and taking John's personal credit card number. Their interaction with John ended there." "Suzy is a local town councillor. She holds a fundraising dinner every year, and every year her PC MLA comes out to support her, paying with his own credit card. The MLA is very popular locally, and Suzy thinks he's likely to cruise to another victory in the next election. She gets a phone call from a volunteer, who has already called 52 people today on the MLA's list of identified supporters, asking if she's interested in coming to the MLA's Silent Auction. She feels she should, since the MLA supports her own fundraiser every year, and she gives the volunteer her credit card. Suzy goes, has a great time, and uses her presence there to advocate for local civic issues with the MLA and his guest, the Minister of Municipal Affairs. Later that month, she submits the expense to the City Clerk's office, who pays her back the amount charged on her personal card. Opposition goes nuts. Those Banana Republic, democracy-hating, corrupt PC's solicited an illegal donation. From someone identified on the MLA's list as "Suzie", who gave her personal credit card number to attend a public event with 500 other local residents. It only became illegal when the clerk paid her back the amount - had the expense been rejected by the City Clerk's office, absolutely nothing would have been done wrong. This seems pretty straightforward to me and unfortunately for the Wildrose Party, a scandal this does not make. I also believe that if the donation form clearly states that the party cannot accept funds from town/city councils, school boards and/or unions, then the onus is on the individual donating to ensure that they comply. If they go back and ask for reimbursement after paying for these events in their own name, how can any party verify and check this? 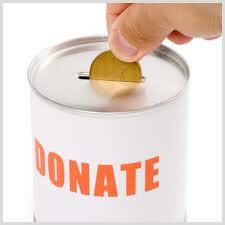 If any improper donations do make it through the cracks, then I agree that the funds should be returned immediately. I think that the Alberta government needs to revise and strengthen the rules ( along the guidelines that the federal political parties must follow under Elections Canada rules) to ensure that compliance is followed. The Elections Canada rules are so strict that it makes it very simple to understand what types of donations can be accepted. While I have a lot of good friends in the Wildrose Party, this desperate attempt to revive a dying PR campaign just appears petty. Show me some willful intent by the PCAA to hide donations or cheat the system, and I will gladly join the outraged crew. Apart from a dynamic leader, a handful of good candidates and some vague policies, the WRP is just showing the citizens of Alberta what really is important to them. Albertans want to see solutions to the issues that matter to them ( health care, the economy etc.) and this frankly is not one of them. I really hope that this issue will serve to help firm up the political fundraising rules in Alberta going forward. You point out a couple of very typical scenarios. And would it not be that the audit of these institutions discover these expense account 'errors'? Further, if this is the case with the PCs, then it only follows that all of the political parties are likely to have similar situations in their donations. It is highly unlikely that any political party actively solicit these organizations for donations. Its a tempest in a teapot, but neither the first nor last that we will see originate from the Wildrose. I agree with you on some points Shane and with Anon that the reality is this scenario can happen to any party. However do these individuals not realize they are committing taxation fraud? If not at the time, surely they would question it when they fill out their tax return. IE: "Hmmm, I'm getting a tax deduction for a donation that I was refunded for?" I read that MRU only refunds the portion which they don't receive a deduction for. In my mind they realize the tax implications, but fail to realize they are still contributing public funds to a political party. As I mentioned in my recent blog piece on this topic, I think it's Elections Alberta that needs more (better) support. I believe there is onus on them to be educating the organizations involved. This illegal fundraising has been going on for decades. It's only now, that the Wildrose have formed a viable alternative to government, that the PCs are facing up to this and beginning to accept responsibility. Yes, perhaps the donations can be innocent, but it's the culture of acceptance of such scenarios that are created through one party rule. The fact this illegal fundraising is out front and centre is thanks to great media work and great opposition work. Illegal fundraising not a big deal to the PCs? Well, it's a big deal to the rest of Albertans who don't appreciate their tax dollars helping a tired, run down party go out and slog unoriginal ideas in the hopes of pulling the wool one more time over the eyes of Albertans. What about the fact the PCs send out invites to prohibited organizations? That is also illegal. Also upsetting is the laws the governing PCs have set up around political corruption investigations: the investigations are secretive, done behind closed doors and no investigations are released. If any political information should ever by public, it should be investigations into political ethics and breaking of laws. Openness, transparency and trust all ideals of Alison and the current "Changed from within" rendition of the PC party? Prove it, release the details and then my "fake" outrage will be lessened (but probably to be reignited by yet further proof later of more wrongdoing). Very interesting interview with Paul Hinman on Rutherford on this topic last week. It sounds like there's more to come. I believe the issue is neither of these. The issue is the Alberta Government gives x amount of dollars to x University. X University turns around and uses part of their funding to make a donation back to the party or to buy tickets to a fundraising dinner. My understanding has never been about personal purchases but instead public money. Have I, and others musunderstood?